The year is 1855. Blackface minstrelsy is the most popular form of entertainment in a nation about to be torn apart by the battle over slavery. Henry Sims, a fugitive slave and a brilliant musician, has escaped to Philadelphia, where he earns money living by his wits and performing on the street. He is befriended by James Douglass, leader of a popular minstrel troupe struggling to compete with dozens of similar ensembles, who imagines that Henry’s skill and magnetism might restore his troupe’s sagging fortunes. The problem is that black and white performers are not allowed to appear together onstage. Together, the two concoct a masquerade to protect Henry’s identity, and Henry creates a sensation in his first appearances with the troupe. Yet even as their plan begins to reverse the troupe’s decline, a brutal slave hunter named Tull Burton has been employed by Henry’s former master to track down the runaway and retrieve him, by any means necessary. 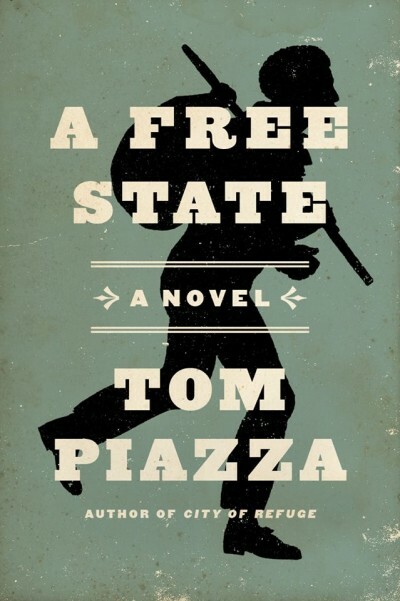 Tom Piazza is the author of ten books, including the novel City Of Refuge, which won the Willie Morris Award for Southern Fiction, and the post-Katrina classic Why New Orleans Matters. His most recent book is Devil Sent The Rain, a collection of his essays and journalism. Other books include the Faulkner Society Award-winning novel My Cold War, and the short-story collection Blues and Trouble, which won the James Michener Award for Fiction. He is currently a writer for the HBO drama series Treme. No less a literary critic than Bob Dylan has said, “Tom Piazza’s writing pulsates with nervous electrical tension – reveals the emotions that we can’t define.” A well known writer on American music as well, Tom won a Grammy Award for his album notes toMartin Scorsese Presents The Blues: A Musical Journey and is a three-time winner of the ASCAP-Deems Taylor Award for Music Writing. His writing has appeared in The New York Times, The Atlantic, Bookforum, The Oxford American, Columbia Journalism Review, and many other periodicals. A graduate of the Iowa Writers’ Workshop, he lives in New Orleans and is at work on a new novel.